Soup at its most basic elements cannot be precisely dated for obvious reasons. Ever since it's been around, soup has been prescribed to the ill or malnourished. Soups live on to the tell the rich history of ingredients local to geographic areas and specific cultures. Directly, the word "soup" comes from "sop" and/or "sup." 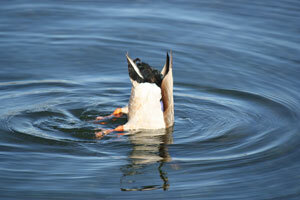 "Sop/sup" means a bread or something of the like which soaks up a broth poured on top. Highly flavored soups that were thought to heal the aforementioned candidates were called "restaurers/restoratifs." This soup fad eventually took off full swing in late-1700s revolutionary France. The new place to get you soup was therefore named the "restaurant," a word that may seem quite familiar. Once the soup kitchen or what-have-you had made its mark on society, it became accustomed to eat soup once a day and preferably in accompaniment with the last meal of the day. Knowing all of this, it is easy to see why the word "supper" also comes from this family of words. When someone cries they are often refereed to as sobbing. This is another offshoot of "sop." "Sop" is actually still around today as one may know it from sentences like: "After running through the rain all day, my clothes are sopping wet." 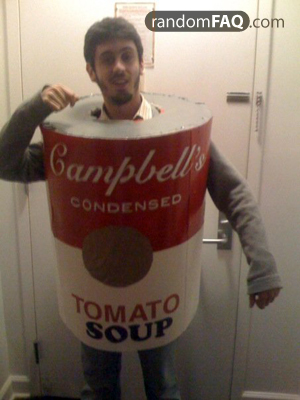 Appropriately enough, I happened to dress up as soup for halloween this year. "Economics and the origin of the restaurant: the." Business Resources, Advice and Forms for Large and Small Businesses. 1 Aug. 2002. 9 Nov. 2008 . Kiefer, Nicholas. "Economics and the Origin of the Restaurant." arts.cornell.edu. 9 Nov. 2008 . Morton, Mark. Cupboard Love: A Dictionary of Culinary Curiosities, Second Edition. Toronto: Insomniac Press, 2004. Olver, Lynne. "Food Soups." The Food Timeline. 9 Nov. 2008 . "Soup culture - food in focus - FOOD24." FOOD24 - Fall in love with food. 9 Nov. 2008 .